The final episode of The Wolf Among Us had a difficult to task in order to go down well with the Telltale faithful. It had to tie up all of the narrative loose ends, improve over a hugely uneven fourth episode and provide a satisfying conclusion at the same time. A mean feat? Yes, yes it is. Reassuringly though, Telltale Games have not only achieved this, but in the process they’ve given us possibly the best episode of any series that they’ve ever done. 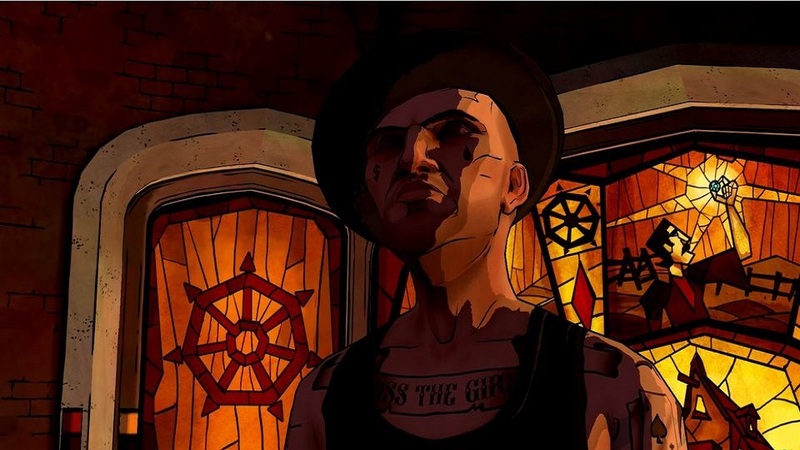 Believe it; the conclusion of The Wolf Among Us is their best work to date. After the monumental cliffhanger of the previous and penultimate episode, events in Cry Wolf immediately start to barrel quickly towards their inevitable end. It’s difficult to talk about these events without veering dangerously into spoiler territory, but I’ll say this; the first half an hour or so of this final episode is the most visceral and hard-hitting of any episode in the series to date. Its not all violence and shocking developments that mark Cry Wolf as the finest entry in the series though, since the writing team, clearly at the creative apex of their talents, have also done a grand job with the developing the characters beyond what would normally be expected at this late juncture. More often than not, in the final episode of a TV show, characters often tend to continue along their established trajectories with their motivations and acts beforehand usually being predictable indicators for their fates in the final act. In Cry Wolf though, the writers have expanded upon what made the characters in The Wolf Among Us so endearing to us in the first place; namely the grey. Seemingly vile-villains are shown to have a glimmer of redemption in this final episode whereas the good guys show some dark streaks, showcasing the deep-stain on their personas that living in the grimy real-world has had on their fairy tale sensibilities. Speaking of villains, we finally get to see a lot more of Bloody Mary this time round as she engages Bigby in a terrifyingly violent clash that proves to be one of the highlights of the episode. Elsewhere, The Crooked Man gets his fifteen minutes of fame too with Telltale’s writers giving some incredible depth to a man who puts across the notion that he’s working for the good of the community, yet clearly has his own agenda driven by greed and fear. Perhaps the single best aspect of Cry Wolf however is the sheer amount of creative latitude that the player is afforded to shape events in this final chapter. Choice, one of Telltale’s long-held mantras is in rude health here as the player is more empowered then ever before to make important, game-changing choices. From dictating the fates of individual characters at particular key points to deciding the fate of an entire community, Cry Wolf ups the stakes with aplomb and lets players decide how it all plays out. 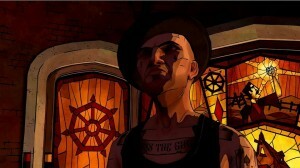 Having such a considerable amount of choice also has practical implications to the longevity of The Wolf Among Us’ final act too; since although the whole episode can be put to bed in just over two hours on a single playthrough, its multiple forking narrative paths provide ample encouragement to approach its myriad of situations differently again and again. Overflowing with scenes of spectacular action, brilliant character development and generously stuffed with large amounts of player choice, Cry Wolf is not only a marked improvement over the episode before it, but it is also ranks as Telltale’s most accomplished work to date. A fitting end to a great fable. 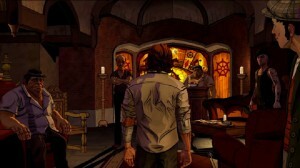 A season pass for the Xbox 360 version of The Wolf Among Us was independently acquired by the reviewer.